I had posted recently in this blog that my expenses have increase from $3000 to $3200. So I have to adjust my total passive income target to $3200 in order to gain financial freedom. 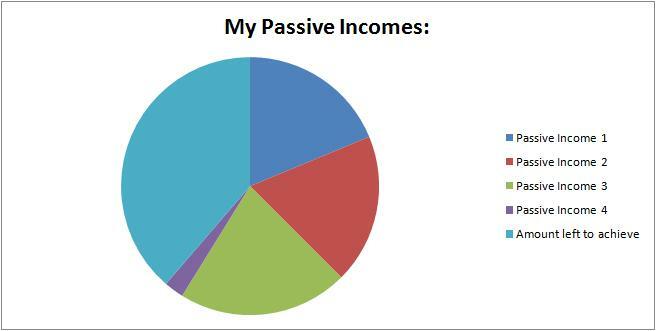 There are no changes in my passive income 1 and 2. For passive income 3, there is an increase as I have got two more lots of Cambridge shares in the recent preferential shares offering. 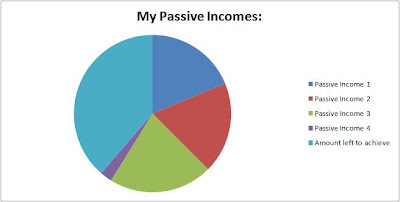 For passive income 4, there is an increase of $1. However since it is still in the building stage, I will be expecting it to go up and down. In my post "Forget about achieving Financial Freedom if you do not have perseverance or refuse to learn. ", I have mentioned that it will take time and effort to build up passive income. How I spend my year-end bonus for year 2010?